CODDIWOMPLE - (v.) [English Slang] - To travel purposefully toward an as-yet-unknown destination. I received one Christmas, from my mother, the box sets that contained the rules for Dungeons and Dragons, and I was quite intrigued by the esoteric nature of the concepts within. As compelling as the ideas were, the actual process of playing the game was a confusing jumble of jargon and text scattered throughout several booklets. My mother was even concerned that it was a bad gift, but I assured her it was ok, that I liked it quite a lot. Even once I got the gist of it, however, I had no way to play the game as it required a group of friends that I considerably lacked at that time. When I went to college at the Savannah College of Art and Design, I lucked into getting invited to play with a group of students that saw a castle and dragon doodle I did in class one day. From there we managed to play a version of the game that kind of fit our playing style. I don't think we ever knew much beyond the core mechanics. Those core ideas made up the world that I would go on to create and run with another group, and they became the core ideas that made up the world I would eventually write about. It does sound silly, but when you wind up creating original history, myth, politics, social orders, gods and religions, a multiverse, magick, nations, towns and villages across an original 'world', you tend to want to use it for other creative projects. Advanced Dungeons and Dragons First Edition Books. I Got My First Physical Copy! The book, in my hands, looks great. It feels solid, and it looks polished. I can't wait to get part 2 out there to finish this part of the Cycle! I was introduced to whimsical fantasy in the 70's when I went searching for new sci-fi at the local bookstore near my home in Huber Heights, OH. I first read The Source of Magic and then A Spell for Chameleon. This book, however, became my favorite and truly, if you stopped here, you'd have read all the Piers Anthony Xanth books you'd ever need to. What's not to love - it has damsels, giant spiders, centaurs, a boy who can talk with inanimate objects, time travel, kings, and castles - it was tailor made for me to enjoy at that moment. I did follow up with the next two trilogies, but by then it had really overstayed it's welcome. A compendium of the first three Xanth novels would sit well on any fantasy fans shelf. It remains in print and on Amazon for a decent price, showing it's enduring quality. Buy This. I Wrote It - It's Good. The Art of Walt Disney was first seen by me at a bookstore in Ohio that my parents would take me to in the late '70s. It cost $65 and that was outrageous at the time to spend on a book for me as a youngster. It's a massive tome filled with amazing illustrations and artwork and a ton of text on Disney's work as an animator from Kansas to California and then later as theme park designer. 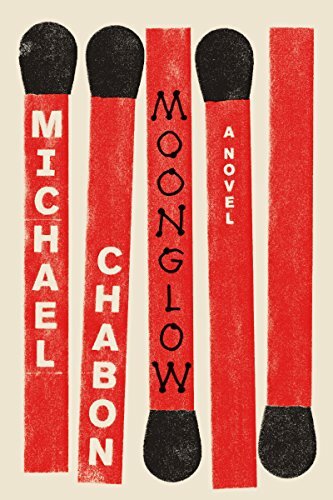 It remains a brilliant if slightly sanitized account of the man and his work. I have a later edition from the 80's that I bought in a little bookshop in Savannah, GA when I was in college and rolling in that government going to school money. Later I got a new edition with a slightly modified cover that also included more information on the theme parks plus a 'beyond!' section. First Editions are going for as high as $2000 - but you can also get it from Amazon resellers for as cheap as $.01 (plus $4 shipping). In middle school - or junior high school as it was known back then - I got into science fiction books after stumbling upon The Source of Magic by Piers Anthony. After that, I was all about big sci-fi and fantasy books, and it was easy to get a whole stack of 'em from the Science Fiction Book Club. One of the first books I got was The Foundation Trilogy by Asimov and I clearly remember showing it off - proud that I was carrying around such a weighty tome as my 'casual reading.' One young lady looked at it and said, "The Foundation of Triology? You read math books?" And faced with the options of agreeing or unwinding it to explain that it was a compilation of the classic works of Asimov and what they were about, I just said, "Yes." She went away somewhere between Impressed and What a Dork. - the usual. Science Fiction Book Club editions of Isaac Asimov's Foundation Trilogy are going for as much as $90 online... go check your stacks! This will take you to my Author's Page on Amazon. Not much to see yet, but hey, it's a start! This is my new book - out soon. It is Part One of the Dance of All Beings Cycle. 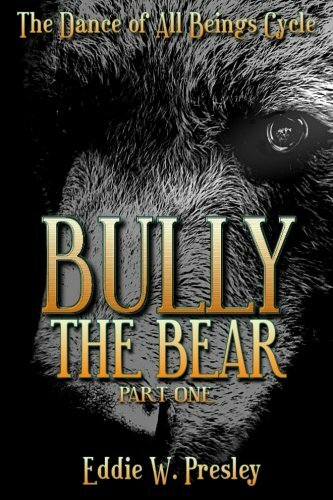 This book and the next book, Bully the Bear Part Two, is about a young man, William 'Bully' Exeter who inherits the abilities of the Holy White Fire. At 11-years-old, however, he is still coming to grips with school, his friends, his sexuality and the fact that he is quickly pushing 6' tall, 300 pounds and he's still growing. He will fight with the Demons and dark-men of Nightmare who seek to keep the White Knight from becoming a hero. They will curse Bully, trapping him inside his overgrowing, failing body. It also introduces the wider world of the Blasted Earth including the Green Realm, Shadow, Nightmare and the Runian realm which are explored over the course of the series. Bully The Bear Part One - out soon from Portal Publishing! A lovely day spent at Sebastian Inlet, Sebastian, FL.